When the United States Senate Majority Leader asks you for help, you do whatever you can to accommodate his request. CCG was honored to have played a major role in one of the most well run political campaigns of the 21st century. 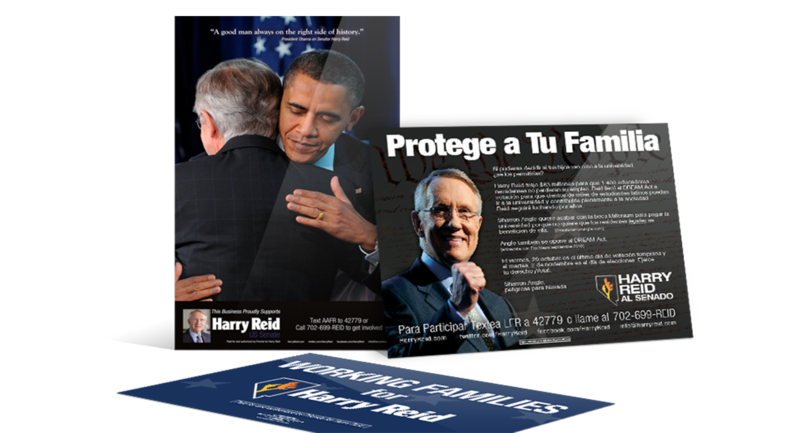 Our mission was to coordinate media efforts and overall messaging aimed at reaching the African American, Latino and Asian communities on behalf of Senate Majority Leader Harry Reid. We developed a comprehensive strategy that consisted of messages conveyed via print, poster, radio and online advertisements. In many instances, we utilized the brand strengths of President Obama alongside the Senator to create a unified face for the voters. We were extremely successful as we had record turnouts at the polls and the Senator won unanimously. Many politicos and media reports noted the flawlessness of the campaign.